Icecake - "...An Ambient Extraction"
Icecake is the solo project of Robert J. Kaminek Jr. This is quite a short CD, less than 30 minutes, but has some quality ambient (ENO like) pieces with good guitar lines that are simple but effective and strange things boiling underneath the surface to disturb or distract, in a good way! The first track starts with some really strange vocal samples and manipulations. "Pierce Point Stop South Side Line" is a really cool track with interesting delay guitar, strange beats and sounds. It is the only track over 3 minutes and probably the best. They sell the CD for only $3.00 at the web site. I highly recommend this if you like ENO! 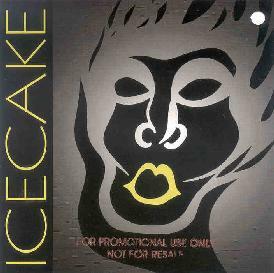 For more information you can visit the Icecake web site at: http://www.soundclick.com/icecake. An Ambient Extraction is distributed by Supple Records. You can visit their web site at: http://www.supplerecords.org. Contact via snail mail c/o Supple Records; PO Box 212; Hicksville, NY 11802-0212.